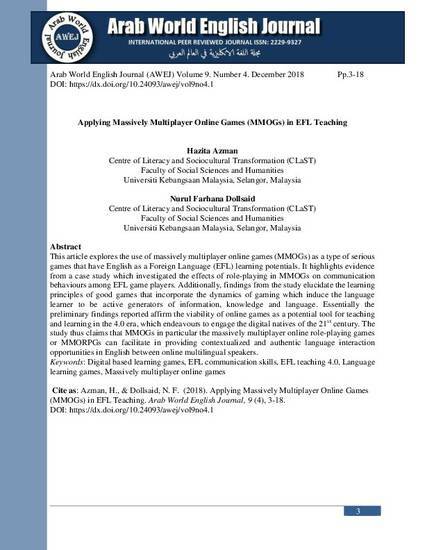 This article explores the use of massively multiplayer online games (MMOGs) as a type of serious games that have English as a Foreign Language (EFL) learning potentials. It highlights evidence from a case study which investigated the effects of role-playing in MMOGs on communication behaviours among EFL game players.  Additionally, findings from the study elucidate the learning principles of good games that incorporate the dynamics of gaming which induce the language learner to be active generators of information, knowledge and language. Essentially the preliminary findings reported affirm the viability of online games as a potential tool for teaching and learning in the 4.0 era, which endeavours to engage the digital natives of the 21st century. The study thus claims that MMOGs in particular the massively multiplayer online role-playing games or MMORPGs can facilitate in providing contextualized and authentic language interaction opportunities in English between online multilingual speakers.